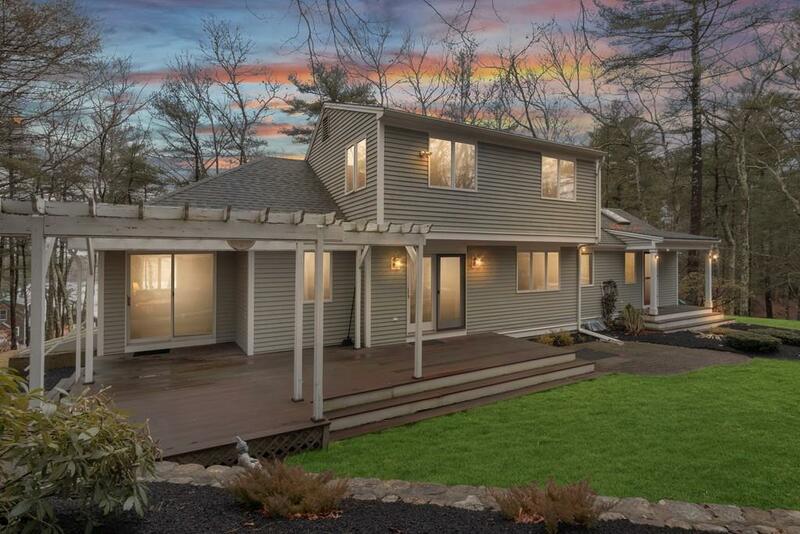 Just a short ride from downtown Plymouth and down a tree lined street you will find this beautiful contemporary home perched upon a hill overlooking 43 acre Little Pond. As you enter the home you will notice a generous mudroom, which leads to a half bath and laundry. The stunning kitchen features stainless appliances, a large island, wine refrigerator, and gleaming counters. In addition to the eat in kitchen you will also find a formal dining room. The first floor master suite has ample closet space, an en suite bathroom, and access to the deck. The first floor is completed by a sun drenched living room with vaulted ceilings, a fireplace, and windows looking out to the sparkling pond below. The second floor has two bedrooms and a bathroom with a shower stall. A partially finished basement with a large walk in cedar closet is a perfect extension of your living space. With over 200 acres of forest, swimming, kayaking, fishing, and walking trails Morton Park is a great place to call home.